Cooks have forever been looking for ways to make food preparation, easier, quicker, and more nutritious. Cooking food can reduce a number of vitamins, and natural minerals contained in the ingredients, and also the distinctive flavor. So, any way to make the cooking process less detrimental to the original ingredients would be a good thing. That’s basically, how the pressure cooker came to be invented. Although the idea of a pressure cooker had been around for hundreds of years, it was not until the early 1900s when commercial pressure cookers became available. It took another 30 years before a pressure cooker was sold in stores for home use. They soon became a must-have in the then modern kitchen, as they saved time, energy, and money. The situation is still the same today, with top chefs and home cooks taking advantage of the benefits of using a pressure cooker. 5 What Types of Pressure Cookers Are There? 7 How do stove top and electric pressure cookers compare? 9 What Safety considerations to make when buying a pressure cooker? We all learned at school that water boils at 212F (100C), which is true only at sea level. If you go to a higher altitude, the boiling point of water drops. At 4,000 ft, water boils at 204F(96C), and at 8,000ft it‘s down to 170F(77C). Because the air pressure is lower, this allows the water molecules to escape from the surface of the water more easily. Because the molecules are escaping as steam, water can never get hotter than 212F(100C) at sea level. Now, if you put the water in a pressure cooker for example, and increase the pressure, the opposite happens, and the boiling point of water rises. A pressure cooker will usually increase the air pressure by 15 pounds over that at sea level, in turn, that increases the boiling point of water from 212F(100C) to 250F(121C). By cooking at pressure, and therefore an increased temperature, the time can be cut by as much as two-thirds, saving energy and costing less in the process. The simple answer to this question is that using a pressure cooker food cooks faster, uses less energy, and keeps all the nutrients in the dish. Cooking on a stove top is much slower than using a pressure cooker. Boiling 2lbs(1kg) of beef could take up to 3 hours to cook properly using an open pan on the stove. A good modern pressure cooker will reduce that time by up to 70 percent, bringing it down to around an hour. That means your meal can be prepared much quicker, and give you more time to do other things. A quicker cooking time, means less energy will be used, either electricity or gas, saving you money. Because you are cooking in a sealed container, none of the essential vitamins and nutrients within the food being cooked can escape. Thus your dish, as well as being tasty and delicious, will be better for you. As the temperature used to cook is so much higher than the boiling point of water, the extreme heat will kill any microorganisms, which makes it ideal for sterilizing food jars for canning, or glass baby bottles. Modern electric pressure cookers can be programmed to turn off when the food is cooked, and then keep it warm until needed. Non-stick cooking pots mean they are easy to clean, and some are dishwasher safe. A pressure cooker is more expensive than a regular cooking pot. The rubber gasket which seals the cooking pot and the lid is delicate and needs to be checked regularly and replaced if nicked by a fork or knife. Many pressure cookers, particularly the stove top models, cannot be put in the dishwasher, and it is recommended that cleaning is done carefully by hand making sure any food particles are removed from around the gasket especially. Pressure cookers are heavier than regular pans, so handling is a concern. What Types of Pressure Cookers Are There? There are two basic types of pressure cookers readily available on the market today. There is the stove top pressure cooker, with the modern versions being referred to as the second generation. The first generation pressure cookers only had one pressure level, were very heavy. They have gone out of fashion and are not an attractive choice. Along with the second generation stove top models, there are electric stand alone pressure cookers. These models feature digital controls and added safety features. The newer pressure cookers allow the cook to alter the level of pressure to give more control on how the food is cooked. The pan temperature can also be changed, giving an almost endless variation of pressure cooking techniques to get just the right tenderness in a dish. Additionally, pressure cookers that offer multiple other cooking functions are available in recent years. See our instapot reviews for a full round-up of the top models. Until the electric pressure cooker came on the market, the only type available was the stove top model. The design has been modified over the years to meet newer safety standards and user’s requirements. Stove top pressure cookers usually take less time to build up enough pressure. A typical model will take a little over 10 minutes to get to the right pressure, whereas an electric model could take about half as long again to reach the best operating pressure. Getting the cooking pot open once the food is prepared can be done in three ways. The cold water quick-release method takes about 30 seconds. The regular release method takes a little longer at about two minutes, and the natural method longer still at around ten minutes. The locking lid and the over-pressure release valve on the top are the main safety measures. A stove top pressure cooker can be used on a gas or electric hob, and can even be used on an open fire or barbecue. When not in use the stove top pressure cooker is just like any other kitchen pot and can be stored with all the other pots and pans. One of the drawbacks is that as it is not electric, it will not come with such things as a timer or a time–shift function. However, a diligent cook should be able to keep an eye on the time. The advent of the electric model of pressure cooker, adds a whole new capability for pressure cooking and versatility. Because of the electronic controls, users can change the temperature and pressure inside the cooker at the push of a button, and thus broaden the uses and the food you can cook inside the appliance. Everything is under control. The electronics in the appliance allow a cook to alter the pressure and temperature, as with the stove top model the only way to vary either is to change the heat being supplied from the stove. Lots of models have pre-programmed settings for different pressure levels, and even for cooking such things as rice. The heat inside the pressure cooker is regulated automatically once the pressure and cooking time are set. An electric pressure can be left to cook by itself and does not need to be constantly watched. 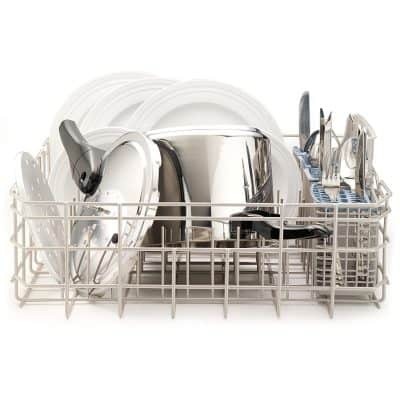 The appliance can work for a particular time, at a controlled pressure to get the job done. The electronically controlled sensors in an electric pressure cooker prevent the buildup of excess pressure and helps in stopping accidents. Electric pressure cookers are generally bigger than the stove top models, and therefore can be harder to store. Except for some newer models, electric cookers can only be used for pressure cooking. Because they are electrically operated, one can not use the cold water quick-release method for reducing the pressure inside the cooker. How do stove top and electric pressure cookers compare? Some cooks will say there is no comparison, as they would go for the stove top type every time. It’s the cooker they are most familiar with and have learned how to get the best from it. Even so, those who try an electric pressure cooker, agree that it has one distinct advantage over its rival; simply that it is much more convenient. The electronics inside an electric pressure cooker take a lot of the uncertainty and worry out of cooking at an increased heat and pressure. The sensors make sure that things stay perfectly safe, and there is little chance of an electric pressure cooker exploding in the kitchen. Most electric pressure cookers have heating elements which are not just on the bottom, but the sides as well, so they can provide a more even cooking, and reduce the chance of food being scorched. If you are cooking foods like rice, then this is something you need to take into account. Electric pressure cookers are generally more energy efficient than stove top models, as the cooking pot is insulated within a surround, and there is little heat dissipated as happens with a stovetop model. The energy goes into cooking your food, not heating your kitchen. Searing: An electric pressure cooker is limited by the heat coming from the elements, and although most can sear meat pretty well, none have the ability to sear like a stovetop model, which as we have said is just like a regular pan. You can crank up the heat on your stove to get the meat properly seared with no worries. Size: Electric pressure cookers are generally about six quarts, which is enough for a family of four. Whereas stove top models come in all sizes, from small, catering for just a couple, to huge cookers big enough for canning. Pressure: Nothing can beat a stove top pressure cooker for the pressure and heat it can generate. A normal stove model works at 15psi, and a temperature of 250F (120C). The best modern electric pressure cookers can manage about 12.5psi and a temperature of 245F(118C). It may be just a small difference, but it does mean that food takes longer to cook in an electric pressure cooker than a stovetop model. Versatility: The clear winner here has to be the electric pressure cooker, as most can work as a slow cooker, steamer, or a pressure cooker. With precise control of temperature and pressure, it can be used in such delicate cooking processes as yogurt making. The stovetop model is more of an ‘unguided missile,’ it‘s about getting things hot and the pressure high in the shortest possible time to cook as quickly as possible. Ease of Use: A stove top pressure cooker needs to be tended. You can not walk away from the stove for any length of time in case something disastrous might happen. The temperature and pressure must be carefully looked at during the cooking process to ensure there is not a dangerous buildup of pressure. On the other hand, the electric model is much for a fill and forget appliance. Once programmed, the countertop model should not need to be looked at again until the food has finished cooking. Cleaning: The stovetop model is just like any other pan, and can be cleaned in just the same way as the rest you have in the kitchen. Care must be taken with the rubber seal as if this gets damaged in any way it will need to be replaced. With the electric countertop models, the cooking pots are removable and are generally dishwasher safe. The lids can be more of a problem, as they provide the pressure seal, and need careful cleaning. It is very rare for product reviewers to come up with the same conclusions about an appliance, but this is that one occasion. There is almost universal praise from reviewers and consumers about the Instant Pot IP-DUO60. The appliance is described as a multi-function cooker. Apart from pressure cooking it can sauté/brown, work as a steamer or warmer, a slow cooker, rice cooker, pressure cooker, and a yogurt maker. With a detailed and well laid out control panel, choosing the right option is simple as there are 14 pre-programmed settings. Being electric means the cooking time can work on a delay timer for up to 24 hours, and the pot can keep things warm for up to ten hours automatically. Changing to the manual setting, it can keep food warm for up to 100 hours. The cooking pot is made of stainless steel, and has an extra thick base for excellent heat conduction and even cooking. Like all of the electric models, the Instant Pot does not reach as high a pressure as a stovetop model. There are two settings for pressure around 11psi, and a lower setting at about 7psi. Users say the silicone sealing rings can pick up food odors and need to be carefully washed. As they are an easily available spare part, some people suggest having a variety of sealing rings to use with different flavored recipes. This is as simple as pressure cooking can get, and it comes from the makers of the first pressure cooker available for the home, so it has all the credentials for being a winner. At a budget price, the Presto 01362 is ideal for the cook wanting to try out pressure cooking for the first time. Even though it comes at a budget price, the pot is made from thick stainless steel rather than aluminum, which means it can be used to cook acidic foods and can be popped in the dishwasher. The cover lock tells you when the correct pressure has been reached within the cooking pot, and it automatically tightens the lid as the pressure increases inside. As the pressure reduces, the top loosens. This pressure cooker will work on any stovetop. If you need to cook quickly for a crowd, then this large electric pressure cooker would be ideal. With a 14-quart capacity, it is one of the bigger electric models on the market. The twelve preset cooking programs are designed to get the best results out of cooking anything from rice and porridge, to soups stews and chili, and even making yogurt. The cooking pot is made of stainless steel, so is the housing, which means this mammoth pressure cooker weighs in at around 18lbs (8kg) empty. The large handle that spans the top of the lid makes it easier to maneuver. A panel on the front of the appliance houses the digital timer and the controls, along with preset buttons for different cooking ingredients. It nice to see there are different presets for white and brown rice. There is also a delay start feature on the timer, which means you can pop all the ingredients in the cooker in the morning, and it will be perfectly cooked for your arrival home from work. Users have commented on how it is a great one pot cooking device, as it tenderizes cheaper cuts of meat, sealing in the flavor and nutrients. This is the high-end of pressure cooking, as the Breville is one of the more expensive pressure cookers on the market. However, it is both versatile and good looking and has features many other electric models do not have. The Breville Fast Slow Pro has a sophisticated digital control system, which can automatically adjust the time, temperature, and pressure during fast and slow cooking. With about a dozen preset cooking functions there is one for just about every type of cooking you are likely to do with this appliance. As a visual aid to what the cooker is doing at the time, the LCD changes color indicating if the appliance is pressurizing, cooking, or releasing steam. What is nice about this cooker is the stainless steel bowl has a ceramic coating for easy cleaning. 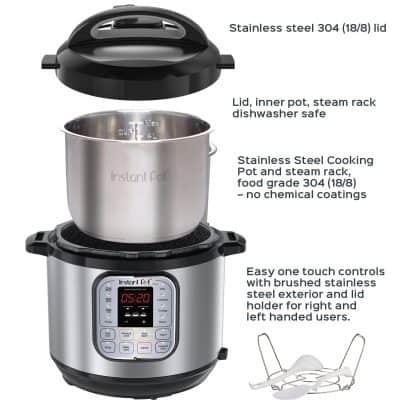 This really is the ultimate fill and forget pressure cooker, with its advanced safety features there is no need to worry about any accidents when it is cooking. The lid of the Breville is hinged, which some users have described as a good thing, while others see it as a hindrance as it hinges to the right, and it can get in the way when sautéing if you are right handed. All the pressure cookers we've looked at so far have been specifically for cooking food, but this one is primarily for use in home canning. It's ideal for the home canner, who wants the ability to use it for cooking up big batches of casserole to feed family and friends. This size of canner will hold ten pint-sized Mason jars or seven quart-sized. Made from sturdy cast aluminum the canner heats up fast and even. Unlike other domestic pressure cookers, there is is no rubber gasket to create the seal between the lid and the pot. Instead, the lid is clamped into place with two wing nuts, giving it a very industrial appearance. The pot is hand finished, so it is very smooth to the touch, which has the bonus of making it much easier to clean. Users have commented on the quality of the canner's construction, and that it has a rugged durability. However, it is not recommended for modern flat top or induction stoves. It is best used on more traditional electric heating elements or propane or natural gas burners. The great plus for the Magefesa Practika Plus pressure cooker is that it comes in a wide variety of sizes from a 3.3 quart to an 8-quart model. A size to fit any family. This is plain and simple pressure cooker which gets the job done with no fuss and is easy to clean as it is dishwasher safe. The manufacturers say the model is pressure rated for home canning, which is unlike many domestic stove top models on the market. The handle incorporates a pressure selector knob, which allows the user to choose between high pressure (15psi), low pressure (9psi), pressure release, and no pressure to remove the regulator valve. The selector includes an added safety feature, is a bit like a medicine bottle cap, and needs to be pushed down before turning. The regulator valve twists off for easy cleaning. As the pressure begins to rise the lid automatically locks in place. There is another added safety bonus, that should the lid not be put on correctly, as the pressure builds the seal will be broken, and the excess steam released making the user aware of the problem. The automatic safety pressure release mechanism is activated at 18psi. The Magefesa is made in Spain, so some of the controls may be a little confusing to begin with, as the handle is marked C - cerrado for closed, and A - abierto for open. Not everyone has a big family to feed, so it is nice to have a pressure cooker that will be adequate for the smaller family, and not take up much space on the countertop. It has all the features you get on the bigger models as well. The cook pot is non-stick for easy cleaning by hand or in the dishwasher. There is a double layer of insulation which means the outside casing always stays cool to the touch. The model comes in two colors, a traditional black with brushed metal, or a striking red. There is a digital control panel on the front of the appliance with an LED display. The pressure cooker has nine preset functions for keeping food warm, slow cooking, cooking soups and stews, beans and grains, and the steaming of meat fish or rice. The timer can delay cooking for up to 24 hours, and it will keep food warm after pressure cooking for up to 12 hours. Like many of the electric pressure cookers being sold today, the Cosori 7 in 1 is marketed as a multifunctional appliance. As with most of them, these are pressure cookers, that can do other things as well, although not specifically designed for that purpose. The six-quart size is big enough to feed a large family, and will also take up plenty of precious countertop space, so finding somewhere to store it when not being used may be an issue. Unlike some other multifunctional pressure cookers, this appliance is not designed for making yogurt, and it is not able to do home canning. What it does have is a very convenient glass lid, which allows you to see what's cooking. And if you are worried about the glass lid and safety, don't be as it is made of special tempered glass that can withstand the highest pressures, and the appliance comes with all the necessary safety features. The digital controls have 15 preset push button programs for cooking different ingredients. Users have commented on the quality of the prepared food that comes from this appliance. They also say that it does its other functions better than other multifunctional pressure cookers. This appliance marries all the great attributes of a stovetop pressure cooker, with the sophistication of an electric countertop model. The makers have designed the PC8 to have a squatter and round appearance than most high-capacity pressure cookers which are usually tall on the stovetop. This wider design makes it easier to cook whole chickens or larger cuts of meat in the cooker. The heavy stainless steel pot is very much like many others on the market; the difference comes with the lid and the detachable timer mechanism. The timer has four built-in cooking programs, with settings for meat, seafood, grains, and vegetables. There is an audible beep telling you when the internal pressure has been reached and can turn down the heat, another when to release the steam after cooking, and a third when the process is complete, and the lid can be removed safely. As the timer mechanism can be removed from the cover, it and the cooking pot can be cleaned in a dishwasher. The All-Clad PC8 has all the safety features you would expect in a modern pressure cooker so no worries there. Users say that this is a heavyweight pressure cooker in every sense of the word, weighing in at 10lbs (4.5kg) empty. The Hawkins brand is known for smaller pressure cookers, with models as small as 1.5 liters, which is good for one or two people. They are also known for their more stylish designs, trying to get away from the look of a stainless steel or aluminum barrel on the stovetop. Most people would agree that the Hawkins Contura has a sleek shape and design that looks in some ways futuristic. Although the pot is not made of stainless steel, the anodized aluminum means it is stronger and more resistant to corrosion. The lid is made from stainless steel. The anodized aluminum has other advantages in that it will not tarnish or scratch and should take the beating found in an ordinary home kitchen. This is a simple stovetop pressure cooker and uses the modified release valve mechanism, which ejects excess steam every 15 seconds or so. Users have said that it can be a little alarming at times, as it is noisy, but they do get used to it. Being made of aluminum the Hawkins Contura is a little lighter than those made from stainless steel, so is probably more handy for senior consumers. Also it means you could take it camping if you are so inclined. What Safety considerations to make when buying a pressure cooker? Safety should be your first consideration when buying a pressure cooker of any type. Cooking at pressure means, you have a metal pan, at a high pressure and intense heat. If anything were to go wrong, it could cause serious injury. However, modern pressure cookers have three protective devices to protect the user. There is the pressure regulator on the top of the pan, and a safety valve, which will open when the pressure gets too high. Also, the rubber seals will open up if either of the other two devices fails. Regulator: There are three different types of regulator used on pressure cookers. They are the weighted valve pressure regulator, the modified weighted regulator, and the spring valve pressure regulator. Make sure the regulator works at 15psi, which is the standard for domestic pressure cookers, and most recipes work to this pressure. The weighted valve pressure regulator is sometimes known as the jiggle top. The regulator sits on top of the vent pipe of the pressure cooker, where steam is allowed to escape. It will start gently rocking in position, when the cooking starts, as it is a sign the inside of the cooker has reached the right pressure and temperature. The noise the rocking makes gives a clear indication everything is working correctly. If it should stop for any reason, check the condition of your stovetop cooker immediately. If you think something is not right, remove the heat immediately. The modified weighted regulator, allows steam to escape in small bursts. There is no exact timing on when the steam will escape, so users need to take extra care. The spring valve regulator has a pop-up that regulates the pressure inside the cooker. The advantage of this type of regulator is that it can be adjusted to pressures from 10psi to 15psi. Interlock Mechanism: Always look for a pressure cooker with an interlocking mechanism for the cover or lid. This safety feature will automatically lock the cover of the cooker when there is a high pressure inside. You will not be able to unlock the lid and take it off until the pressure has fallen inside the cook pot. Pressure Release: Once the food inside has been cooked, it is important to reduce the pressure before opening the cooker. To do that, there are two simple methods which manufacturers advise consumers to use. They are often found as part of the recipe. If it calls for cool cooker at once, the whole pan can be plunged into a bowl of cold water, or run under the cold water tap. Some pressure cookers have quick–release controls to reduce the pressure. However, one has to be very careful as this will release steam at a high temperature and pressure, which can be very dangerous. The other pressure reduction method is the natural pressure drop, which means allowing the cooker to cool by itself. For stovetop models, we looked for a thick, sturdy base to the pan, as this will distribute heat more evenly. Given that the general construction of the pressure cooker must be solid so the cook has confidence it will not explode in the kitchen after multiple uses under increased pressure. The lid should lock tightly and efficiently. We looked at stove top pressure cookers that have the jiggler pressure release valve, and the more modern spring loaded release valve. All of the pressure cookers we have put in our best list have an automatic safety release valve that activates should the main vent be blocked for any reason. We also looked at how efficient the cookers were in maintaining the internal heat and pressure, so as not to waste energy. Similarly, we looked at the same safety functions for the electric countertop pressure cookers. Many electric models are advertised as multi-cookers, able to do slow cooking, searing, steaming and a host of other kitchen duties. We only wanted to know how well they would work as the advertised pressure cooker, and how well the electronics get the cooker up to temperature and pressure and maintain it for the time of a cook. With a digital display and a number of buttons to choose from on the front panel, it‘s important that the layout is good, logical, and easy to understand. Are pressure cookers somewhat old fashioned? Many people think pressure cookers were the appliance of their grandmothers, but it‘s not so. Although the technology has been around for centuries, the modern pressure cooker is far different from those first on the market, and considerably safer too. When people run hectic lives with busy schedules, a pressure cooker is a kitchen time saver no-one should be without. What’s best, aluminum or stainless steel? Aluminum pressure cookers are cheaper and are a better conductor of heat than a stainless steel version. However the metal is softer than steel and is more likely to be dented or scratched, and it can react with acidic foods. Steel is better at resisting corrosion, warping, and scratches and doesn’t react with food products. As is often the case, a choice will come down to how much you want to spend, and how long you want your pressure cooker to last. There is a simple rule one must understand when using a pressure cooker. Whatever the manufacturer of a pressure cooker says is the capacity, only about a half to two-thirds can be used for food, the rest is needed for the steam involved in the cooking process. A product described as four quarts will be enough for couples, six quarts for a family of more than two people. Most recipes are based on this size. Anything bigger is a good size for larger families. There are much larger pressure cookers which can be used for canning. As a rule of thumb, canners are much bigger than pressure cookers. Canners are usually made of cheaper aluminum as the food is stored in jars, and the uncoated metal is not suitable for raw, or acidic foods. Getting the pressure right is important in canning, and the gauges used have a calibrated weight to maintain the correct pressure. Modern stove top domestic pressure cookers often have the newer spring release valves, which are less accurate.